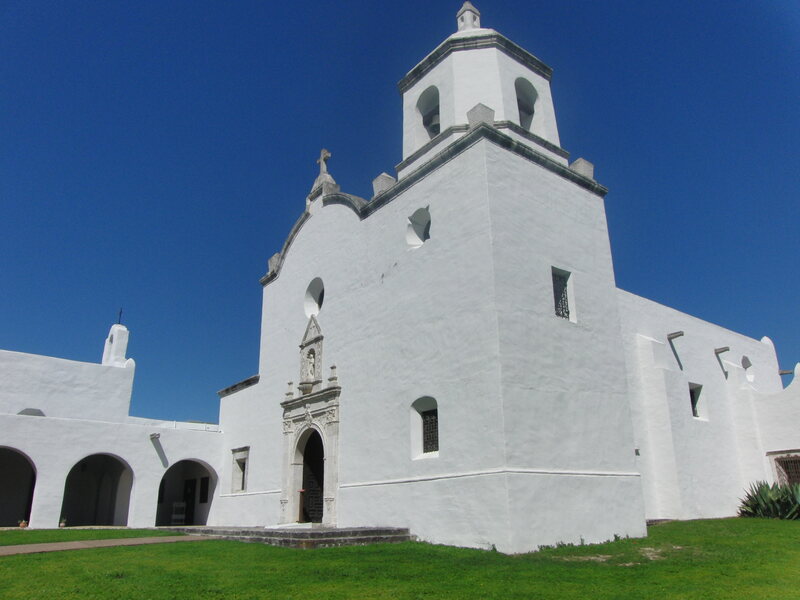 I absolutely love the Goliad area for all the history and beautiful scenery. It’s a perfect destination for a weekend or a stop along the road when traveling down to Corpus Christi, but believe me when I tell you there is enough to do to keep you busy for days! 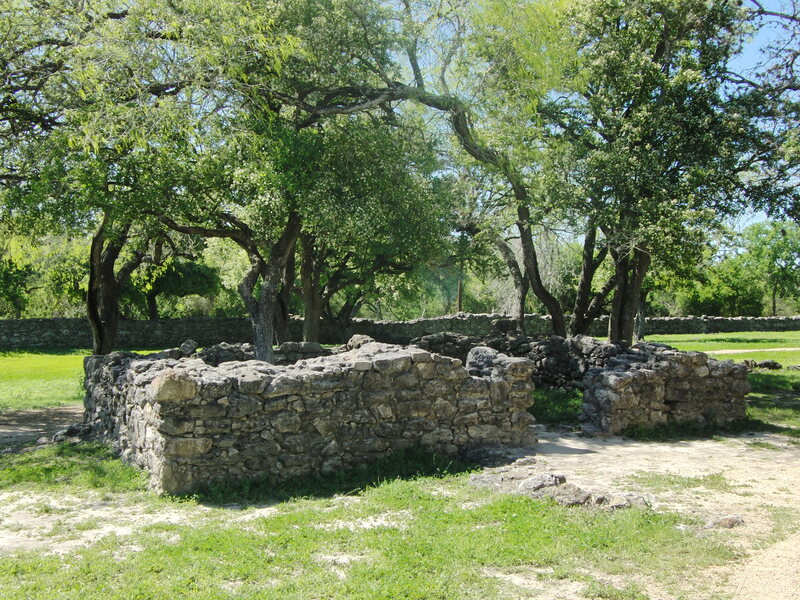 The state park is only a few miles from downtown Goliad. The highlight of the park is the Nuestra Señora del Espíritu Santo de Zuñiga! Built in 1749, and completely restored in the 1930’s by the Civilian Conservation Corps. self guided tours are free with park admission. Free guided tours are offered on weekends at 10am and 2pm. A highlight for my children was being able to go inside and ring the bell! 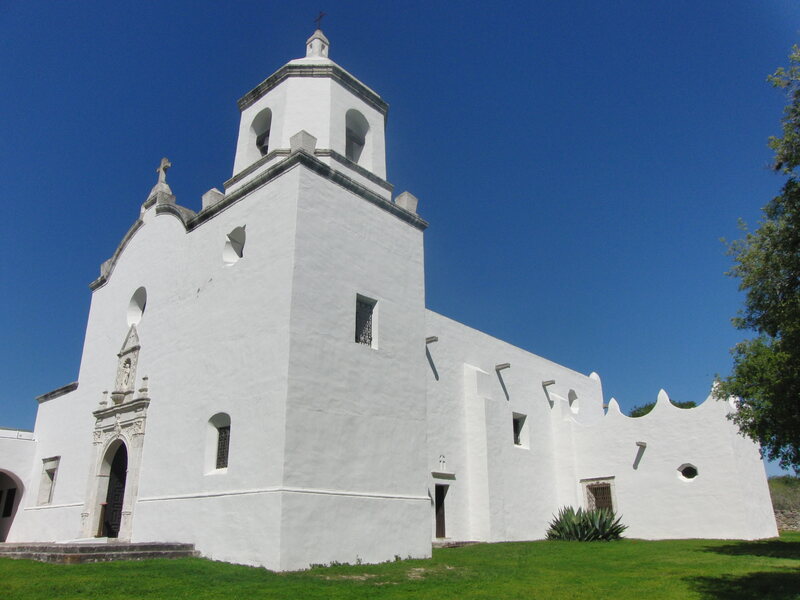 The mission was completely rebuilt in the 1930’s, but there are still some of the original remains. Completely refurbished, there are many exhibits to see and some original artifacts. 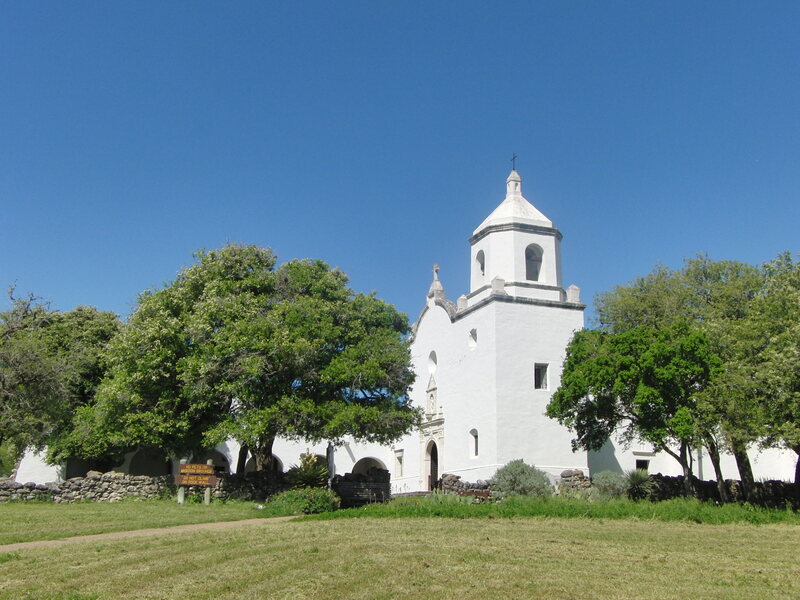 There are not church services offered at the Mission Espiritu Santo, however the Our Lady of Loreto at the Presidio La Bahia just across the river still offers church services, making it one of the longest continually used chapels in the country. The State Park offers screened shelters, RV and tent camping. The tent camping sites were nice and mostly treed, with lots of space between campsites. 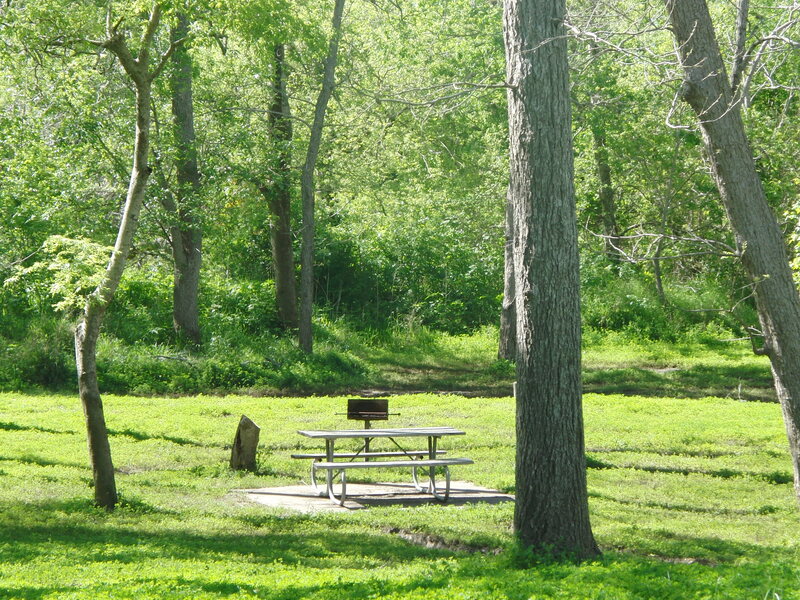 The Vaquero and Longhorn Camping Sites are located near the San Antonio River. These are water only sites, but my favorites because of their remote location. The Karakawa is water and electric. The Jacales Camping Area was more compact, but very close to the bathhouse. The Angel of Goliad Bike Trail runs for 2.5 miles from Goliad, through the park and across the river to the Presidio La Bahia. It’s great for families since it is a designated trail and does not run on the highway. 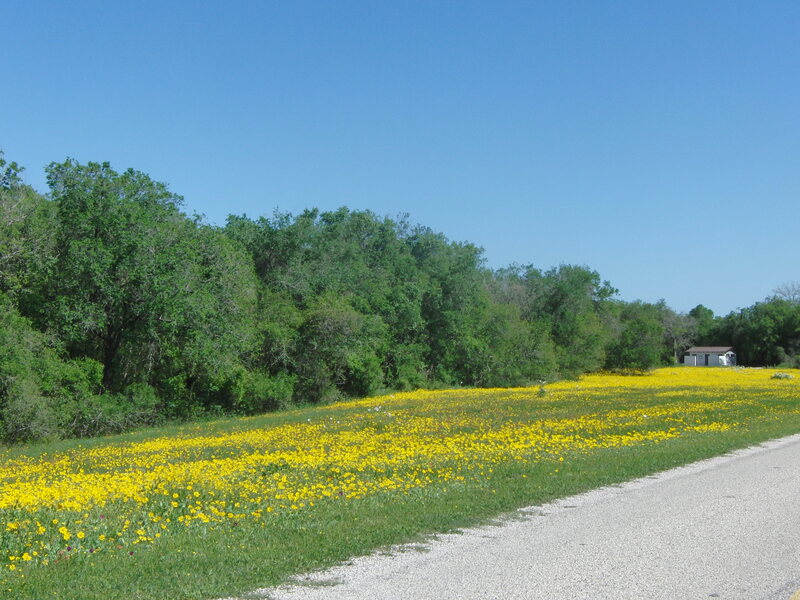 The River Hiking Trail takes you along the San Antonio River bend where the park is situated. It’s a terrific trail for spotting wildlife along the river. Paddle along the San Antonio River on the Goliad Paddling Trail from downtown Goliad to the State Park, approximately 6 miles. There are no shuttle services so make plans (a bike comes in handy) and the park does not rent canoes or kayaks. 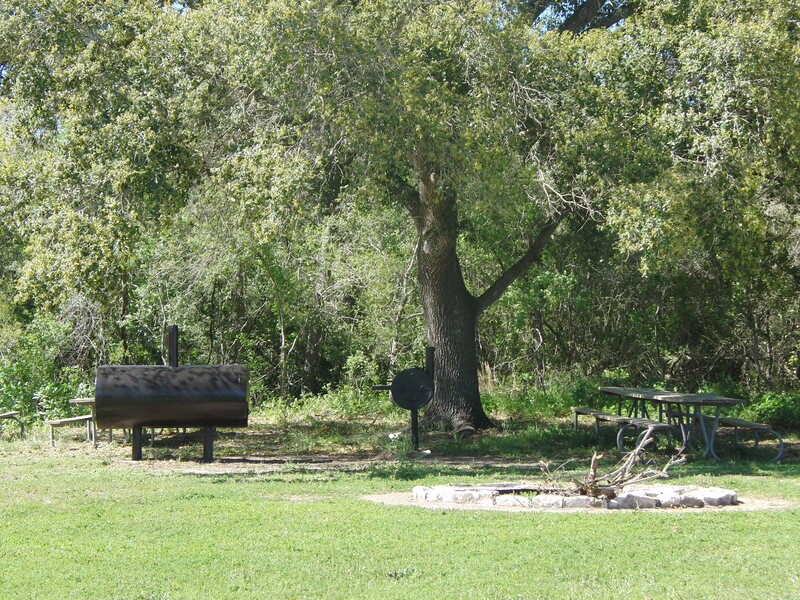 A true sign of South Texas, some of the campsites come with smokers. Downtown Goliad is a picture perfect little town, with huge live oak trees! I love that the roads are built around the trees. We had a great time exploring the little shops around the courthouse square, eating too much and just enjoying a slower time. The “Hanging Tree” outside the courthouse was an interesting history lesson. There are several cute Bed and Breakfast in town, too! For more information, click HERE. 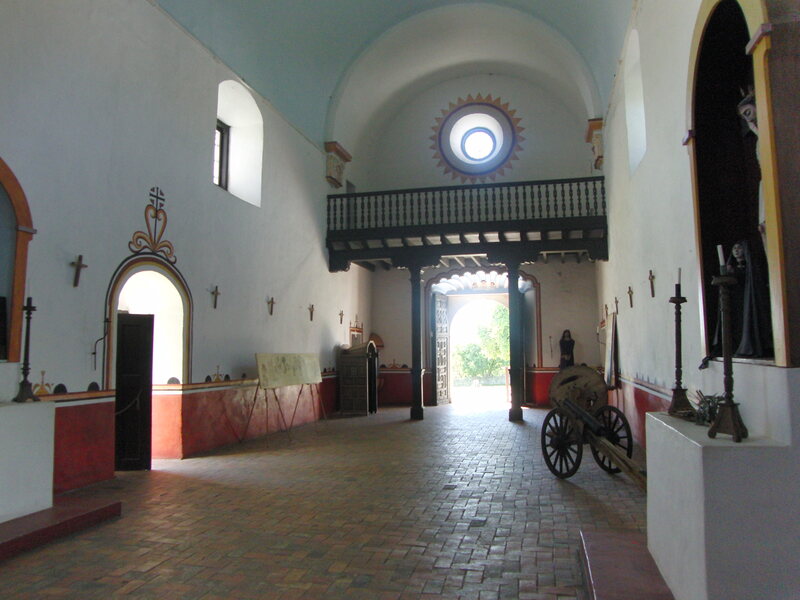 Presidio La Bahia was built in 2749 as a Spanish Fort, and is the oldest Spanish Fort west of the Mississippi River. For more information, click HERE. 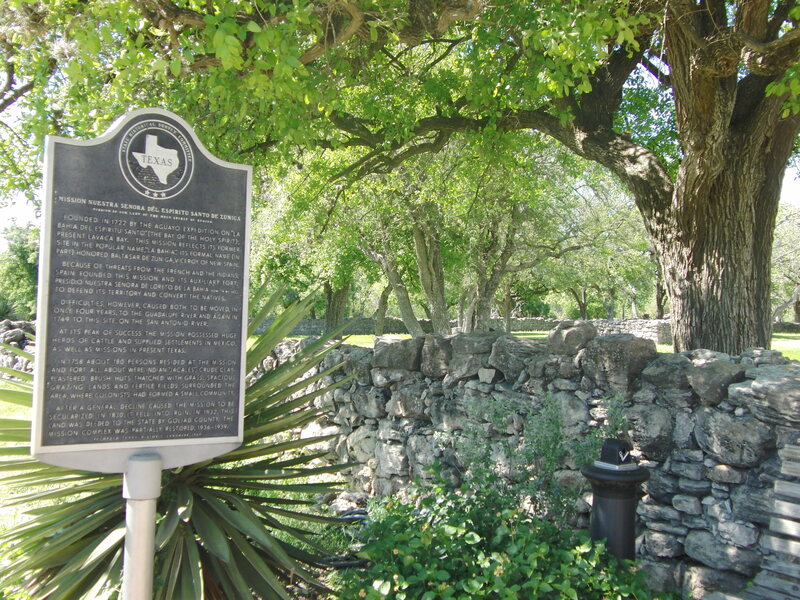 The Fannin Battleground State Historic Site was the scene of the bloody “Goliad Massacre” during the Texas Revolution. Click HERE for more information.